Home / QuiBidder of the Week – Linda W.
Linda built up a collection of Amazon gift cards and used them to purchase a Toshiba Thrive tablet. 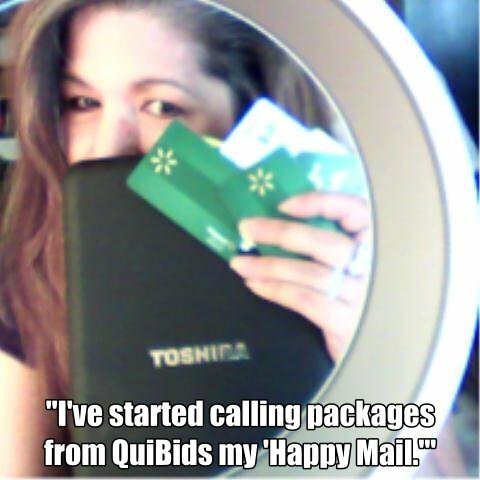 We love hearing stories about creative QuiBidders like Linda, who use use gift cards won on QuiBids to attain items that were previously unreachable. We’ve even heard about QuiBidders using gift cards to pay for their honeymoon! We never can seem to stress this enough. If you want to have success on QuiBids, you must read and understand QuiBids 101, our blog, and the FAQs, in addition to keeping up with all of our newsletter and social media updates. QoW 19 – James H.
QoW 18 – Lena G.
QoW 17 – Asya H.
QoW 16 – A.J. A.
QoW 15 – Don W.
Need more info? Check out the QuiBidder of the Week Guidelines. QuiBidder of the Week – James H.